Hello,the hopefully final 0.14 version was recently released, meanwhile most of the team have been assigned their major tasks for 0.15. One of the tasks I picked up was to work on the long overdue combat balance. We identified some of the major problem areas. The most pressing issue is that many of the guns and ammo in the game are too underwhelming for their price, and others are completely useless. One example which clearly stands out if the rocket launcher ammo, rockets and explosive rockets. They cost quite a lot in terms of resources, and the time to set up their production. In combat, they are less effective then their cheaper counterparts, such as the flamethrower. 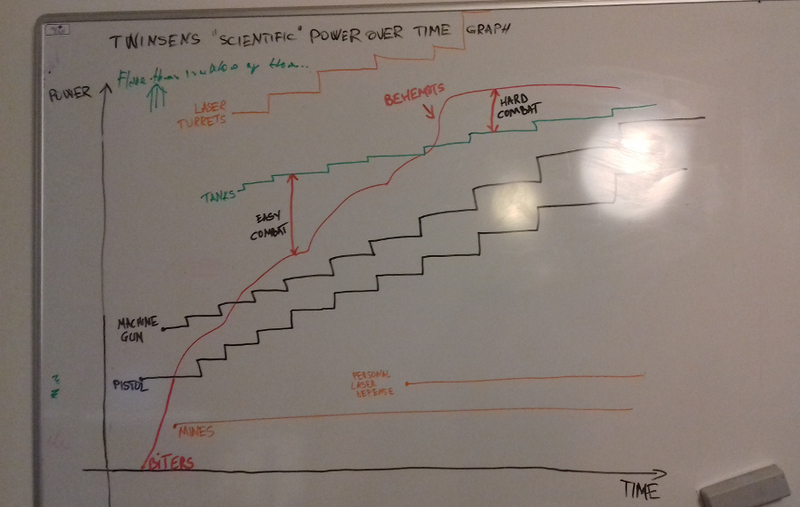 To illustrate the problem, Twinsen worked on his highly scientific graph of the current combat system, with the X and Y axis representing the Elapsed time, and Power respectively. After some discussion for some different approaches, without much in the way of solid agreement, it was decided that we need to do some more testing. To ease this process I wrote a small internal mod that will allow us to quickly set up some consistent conditions, and see in a reliable and semi-deterministic way, what sort of effect even the smallest changes would have. Community feedback will be really important for us on this topic, so please let us know your thoughts. Steam has recently announced their Steam award nominations , and there are several categories you can nominate any game for. For example the "Just 5 more minutes" is for the games that keep you playing long long into the night. We think it is a really great idea, allowing the steam community to nominate titles in this way, so be sure to vote for your favorite games. If you like to read more about his creation, you can read his thread on the forum, or even read the recent PC gamer article about it. 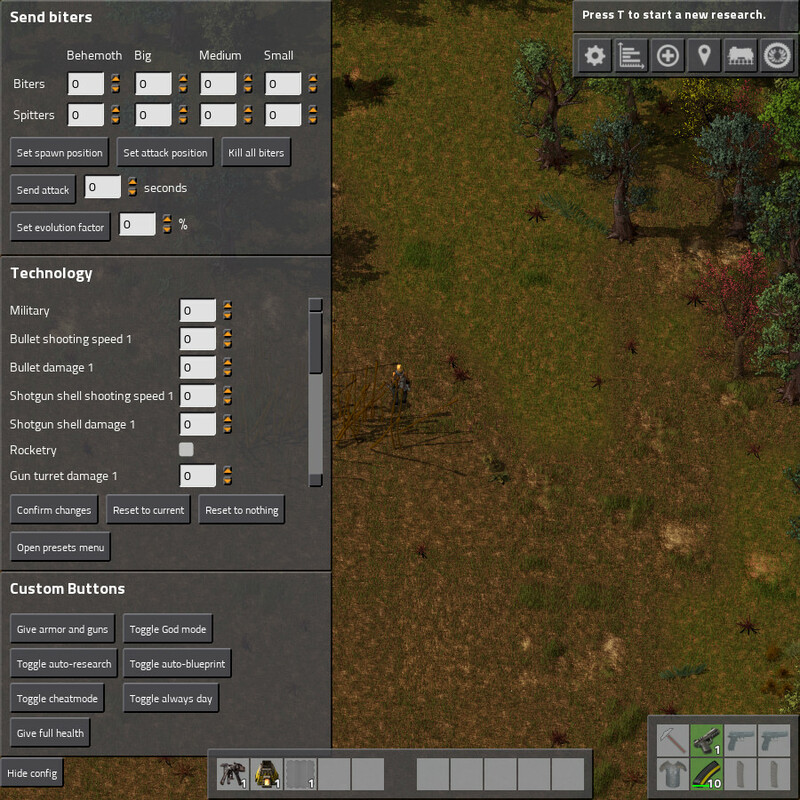 This player also proved to be a good chance to test the circuit network optimizations in 0.15, and in comparison to 0.14, it runs about 18x faster.